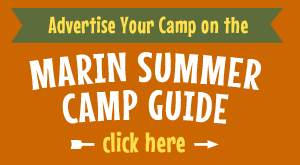 Find the perfect Bay Area summer camp for your kids in our 2019 Marin Summer Camp Guide! Browse a wide range of summer camps throughout Marin County and the San Francisco Bay Area—you're bound to find a camp that's ideal for your child. If we've omitted your camp or you'd like to update your camp information please submit your camp listing details here or contact us. Registration for Spring and Summer Programs at the Mill Valley Community Center Opens Today!